Hi there, my name is Amber Maines and I can’t wait to meet you! I’ve been a cosmetologist for 5 years. 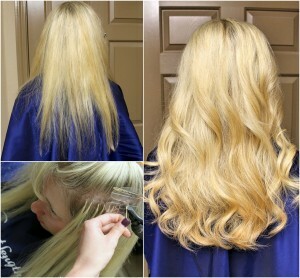 I’m certified in Dream Catcher Hair Xtensions for those who need length and volume. I also use Redken for all my color needs. If you’re looking for a new style or just need a trim, I’m your gal! Call the salon for an appointment soon! Massage is a MUST to start your New Year off right! Marina Trevino is our new Esthetician!